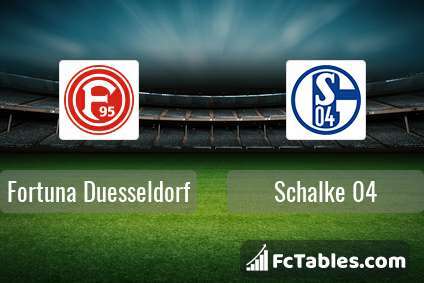 Match Fortuna Duesseldorf-Schalke 04 1. Bundesliga the fixture is set to kick-off today 13:30 on Merkur Spiel-Arena. Refereee Sven Jablonski. Team Fortuna Duesseldorf currently is on lower place in table (15 position). Form team looks like this: In the last 5 matches (league + cup) gain 5 points. 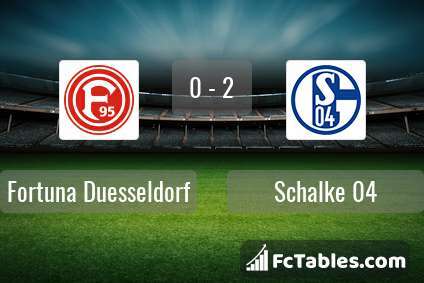 Fortuna Duesseldorf did not win the match from 3 games. The most goals in 1. Bundesliga for Fortuna Duesseldorf scored: Matthias Zimmermann 1 goals, Alfredo Morales 1 goals, Benito Raman 1 goals. Players with the most assists: Matthias Zimmermann 1 assists. 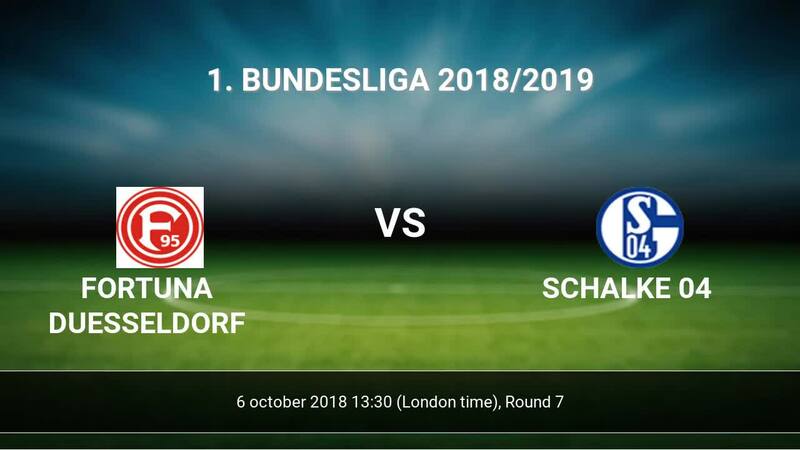 In Fortuna Duesseldorf not occur in the match due to injury: Andre Hoffmann, Oliver Fink, Diego Contento, Raphael Wolf. Team Schalke 04 is in the releagtion zone of the table. 17 position. In 5 last matches (league + cup) team gain 3 points. The best players Schalke 04 in 1. Bundesliga, who scored the most goals for the club: Alessandro Schoepf 1 goals, Breel Embolo 1 goals, Nabil Bentaleb 1 goals. Injured players Schalke 04: Steven Skrzybski, Amine Harit. Direct matches: Schalke 04 won more direct matches. 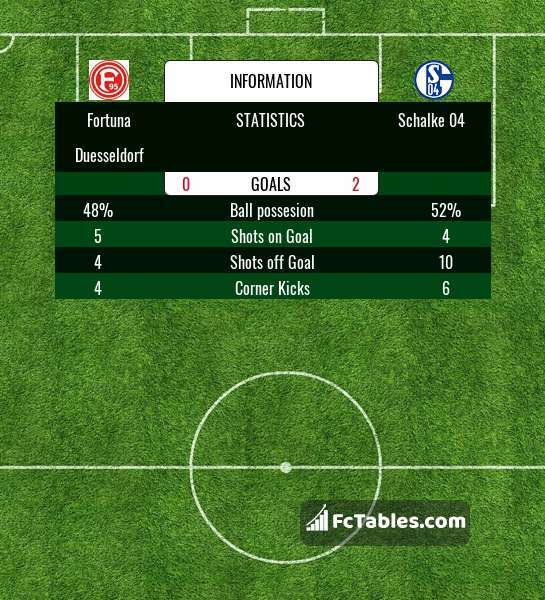 Fortuna Duesseldorf won 0 matches , Schalke 04 won 1 direct matches, was a 1 draws. In 2 matches the sum of the goals both teams was greater than 2.5 (Over 2.5), and 2 matches teams scored more than 1.5 goals (Over 1.5). In 2 matches the both teams scored a least one goal (Both teams to score).